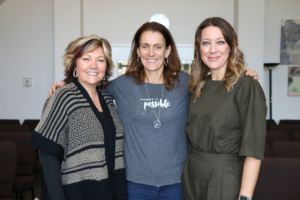 Mercy Multiplied St. Louis and Nashville homes had a special visit last week from Mercy United Kingdom Chief Executive, Arianna Walker. During the homes’ morning sessions, Arianna spoke a message titled, “Going Through To Get To,” describing our tendency to want the destination but not the journey. As a part of her message, Arianna encouraged staff and residents with a brief telling of her personal journey that led her to assist in founding the Mercy UK home. Mercy UK Chief Executive, Arianna Walker, spent two days in the Mercy Multiplied homes speaking on the importance of process. Arianna first became aware of Mercy when trying to help her younger sister Debbie who was battling with drug addiction and suicidal tendencies. Arianna encouraged Debbie to apply to Mercy after hearing Mercy Founder and President, Nancy Alcorn, speak. Arianna shared how her sister attended the Nashville Mercy home, where Debbie encountered the Lord and was able to address the roots of the issues she was struggling with. Debbie graduated from the Mercy program, and now serves as the Executive Director of Services at the Mercy UK home. Arianna told the St. Louis and Nashville residents that they were a part of something bigger and on a journey with their Mercy sisters “across the pond.” Arianna went on to share that Mercy was not just a charity or a good idea that she decided to get involved with. “It saved my sister’s life,” she said. 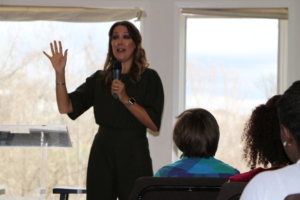 The Mercy residents in both homes were deeply impacted by Arianna’s teaching. 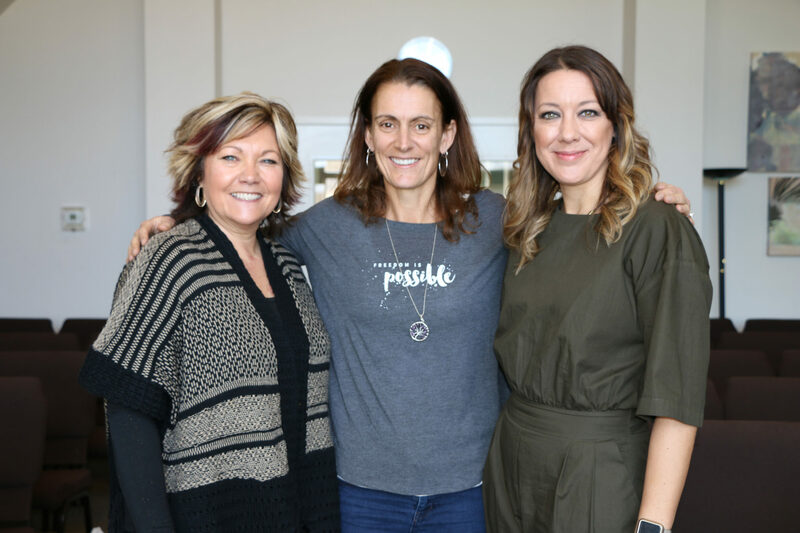 In Nashville, Arianna was joined by Mercy Canada Executive Director, Nicola Bartel, for a time of Q & A, in which Nicola also shared her personal journey to Mercy. We were so honored to host these beautiful and wise women! Inviting guest speakers into our Mercy Multiplied homes is a routine and integral part of the Mercy program. Learn more about our residential program and how Mercy has been transforming lives and restoring hope for over 34 years.